Although the Mate 20 Pro has already turned six months old, it is certainly hasn't been forgotten. It still quietly remains on the top of any best devices on the market list. On the other hand, the new P30 Pro offers the most impressive camera ever seen on a smartphone, allowing it to achieve incredible results in low light conditions. Yet, apart from that, what are the differences between the two? Which one would be the better buy today? When you want to buy the best cameraphone it is easy to read all the online reviews that recommend the Pixel 3 (XL), the one which has shown that a single sensor combined with well-optimized software can make a big difference in the field of smartphone photography. And let's not forget the new Galaxy S10, which offers far superior results compared to previous generations in most situations, and which easily competes with the current crop of flagship devices. 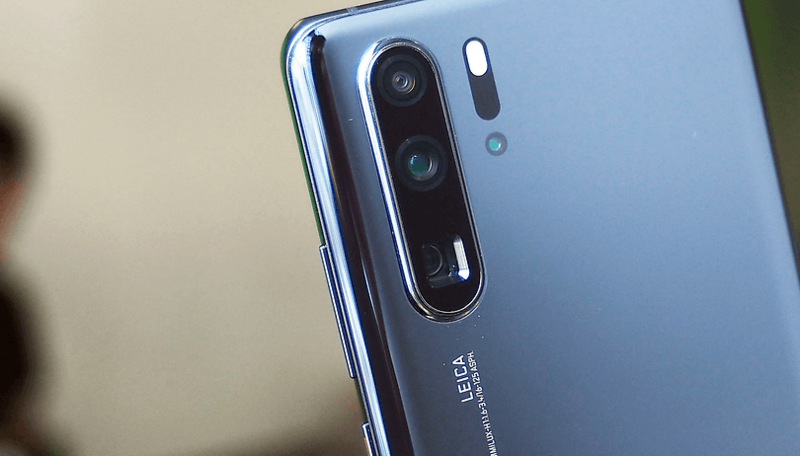 However, this time we're going to talk about two Huawei smartphones with which the Chinese manufacturer is trying to revolutionize the way to take pictures on our smartphones. We know that the three cameras of the Mate 20 Pro allow anyone to get great shots in all kinds of lighting conditions, but the P30 Pro is no different. In fact, unlike the Mate series, the P30 Pro offers the new periscope sensor with 5X optical zoom, which combined with the main sensor, promises to achieve an almost loss-less 10X hybrid zoom. We don't want to say that the two smartphones are identical, because each of them has their own distinct characteristics. However, Huawei has decided to share some aspects of the Mate 20 Pro with the P series - a decision that I personally agree with, and that allows the Chinese manufacturer to create easy recognition of its devices to the masses. After all, it's nothing new in the smartphone industry, Apple has been doing the same thing for years with its iPhone, and Samsung is no different with its Galaxy S series. These devices are in fact easily identifiable at a distance of meters, an aspect that should not be underestimated in a perspective of brand positioning. As for the display, both Huawei devices share a curved edge design, but the main difference is that the P30 Pro's OLED display, although larger, has a lower resolution (Full HD+). In contrast, the Mate 20 Pro's screen offers QHD+ resolution, an aspect to consider despite the fact that it is very difficult to see the difference with the naked eye. The Mate 20 Pro also has a larger notch, but this is because it contains the hardware for 3D facial unlocking, a feature that is missing from the P30 Pro. In addition, the latter does not have an earphone capsule but uses the vibrations on the display to reproduce the audio - only for phone calls. This feature does not provide stereo sound when playing music, which is another disadvantage compared to the Mate 20 Pro. From an aesthetic point of view, the Huawei Mate 20 Pro has a beautiful Twilight color, while the P30 Pro gets more points with the new colors with dazzling names, including Amber Sunrise and Breathing Crystal. That said, both have IP68 certification against water and dust, so you won't have any problem using these smartphones in any weather conditions. From a specs point of view, the P30 Pro has 8GB of RAM compared to the 6GB of the Mate 20 Pro and you can also purchase it with 256GB and 512GB of internal storage. Apart from that, the rest is quite similar, including the SoC Kirin 980, the 4,200mAh battery with fast charging SuperCharge 40W and 15W wireless charging, plus the ability to take advantage of reverse wireless charging. Both use a fingerprint sensor integrated into the optical screen, but we know that the one on the P30 Pro has been updated to offer greater reliability and speed. We can spend hours looking for the minute differences between these two devices, but that would be pointless. What sets the Mate 20 Pro apart from the P30 Pro is the photographic department, which has been updated both in terms of hardware and software. First of all, let's start with the completely redesigned 40MP main sensor, which now uses a unique pixel arrangement, i.e. RYB (Red, Yellow, Blue), compared to the traditional RGB (red, green, blue). This can provide better performance in low light conditions, as well as the significant improvements in computational processing of the P30 Pro, of course. Huawei has also decided to keep the excellent 20 MP ultra wide-angle sensor, but this time, according to the company, it will be able to take pictures with less distortion. The zoom quality of the P30 Pro is enhanced by the new periscope lens, which uses a prism to reflect light at a 90-degree angle. The result is a 5X optical zoom with no loss of quality, something that has never been possible on a smartphone before. This sensor, combined with the main one, allows you to obtain a hybrid 10x zoom (up to 50x digital). The Mate 20 Pro can also combine the power of two sensors, but the P30 Pro has extra gear and everything works wonderfully. Finally, the P30 Pro is also helped by a Time of Flight (ToF) camera, a sensor that is slowly making its appearance on other smartphones, such as Honor View 20. The main advantage of this sensor is that it is able to capture more information about the depth of field, which is useful for the creation of bokeh effects in portrait mode, but also for better management of the AR compartment. P30 Pro or Mate 20 Pro: Which one should you buy? As their names suggest, the Mate 20 Pro and the P30 Pro belong to different lines of the Chinese manufacturer and both have some key differences. The Mate 20 Pro has a higher resolution screen and offers greater security in terms of facial unlocking, while the P30 Pro has a great camera that has surprised everyone. This camera aspect really impressed us during our dedicated test and is one of the departments that lately makes the biggest difference when buying a new smartphone. However, the price is also a very important element in this case: the new P30 Pro is available at the starting price of £899 in the UK, while you can find the Mate 20 Pro at a lower price, even below £700 from various online retailers. Now it's up to you to decide: which of the two do you prefer after this brief analysis? Which is your favorite of the two Huawei smartphones? Choose “P30 Pro” or “Mate 20 Pro”. Hm...very useful info..I liked Huawei camera in any ways. It’s good they are improving it. They don't use microSD. They use a new proprietary card called an NM Card. Why? I don't know. Thankfully it's not another Vita situation, at least. About 2 weeks are the happy owner of the new Huawei P20 Pro and I can say I'm happy! I'm not going to make a phone presentation, there are a lot of internet presentations, but I can only say: to the old Huawei Y6 208, the difference is (very) big, and in the good sense. The main reason I bought it was the camera, and a little less for the shooting side. Otherwise the specs are at a very high level, which together with the large screen offers a very nice experience. It's true that the P30 Pro is a challenge, just as I have to wait for now. Possibly, if I can afford it, it will even be Mate 30 Pro, or who knows what's going to happen in the meantime. I chose P20 Pro because it's more convenient than buying a mirrorles - for the photos I need is enough, their quality being very good. Looking back, the evolution of camera / video cameras is sensational.